The RAM 2500 is one of the most capable trucks on the market. 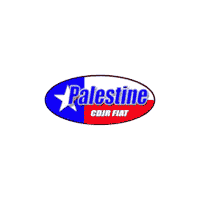 It also offers our Palestine, TX customers plenty of features that make the drive more enjoyable. Does your job require a tough truck to haul materials and tools to the job site? Are you a farmer and you need to haul hay to the barn for winter storage? Maybe you just want to be able to remodel your home and need a truck to get the items home. No matter what the job, the RAM 2500 is the truck to get it done with confidence and we have it here at Elliott Chrysler Dodge Jeep Ram Fiat Palestine. When you need to haul or tow heavy items where they need to go, you need a truck that is tough enough to handle the job. Even when you want to play when the workday is over, you want to know your truck is ready to roll when you are. The RAM 2500 is the truck that can handle anything you throw its way. When equipped with a Diesel Engine, the RAM 2500 can haul up to 17,980lbs and 16,320lbs with a gasoline engine. That means you can haul everything you need for work, then take the boat to the lake, the fifth-wheel to the campground, ATV’s on the trailer, and more for your weekend of playing just as hard as you have worked. You can get more done with the RAM 2500 and we welcome you to take a test drive when you visit us at Elliott Chrysler Dodge Jeep Ram Fiat Palestine today. When you buy a truck, you know they can typically tow or haul, but when you choose the RAM 2500 you get so much more out of your truck. The available Fifth-Wheel/Gooseneck Prep Package makes hitching your trailer easier than it has ever been before and connects your trailer to the frame of your truck for added strength. There is even a seven-pin connector inside the truck for easy light connection. The RamBox Cargo Management System gives you an easy way to organize, store, and secure your items. The Bed Divider allows you to organize your toys so they don’t slide around when you hit the steep hills or corners. You can even keep your tools safe with the AllSecure Central Locking System that allows you to lock up your important items. Come see these features when you visit our store and see how they can help you. At Elliott Chrysler Dodge Jeep Ram Fiat Palestine, we believe you should have options when it comes to car buying. We offer you a great selection of the popular RAM 2500 truck so you are sure to find the exact match you are looking for with the colors and options you want. We list our entire inventory online so you can browse our vehicles anytime from the comfort and convenience of your very own home. You can even value your trade-in and get pre-approved for financing to save you time. Once you have found your dream truck, stop by for a test drive and get started on owning one of the most capable trucks on the market. We look forward to meeting you.